2011’s observing got off to a slow and late start because of the very cold and cloudy winter. It was the cloudiest winter for 50 years and I did no observing between October 2010 and March 2011. Conditions: Clear, cold (2°C/35.6°F), no Moon, slight dew. I made my assault on Triangulum, postponed from a couple of weeks ago thanks to dew, before moving up to the Pisces/Andromeda border for the Pisces Chain of galaxies. In an 18 inch, there is plenty to see! NGC 740 – A fairly faint edge-on galaxy which shows some brightening along its length. It is elongated 3:1 NW-SE. Then it was over to the Pisces/Andromeda border for the NGC 383 cluster, the Pisces Chain. This is an attractive chain of eight bright galaxies, centred on NGC 383 (the brightest galaxy in the chain) with numerous faint ones also in the area. The entire chain fit neatly into the field of view at 90x although individual observations were made at 247x. 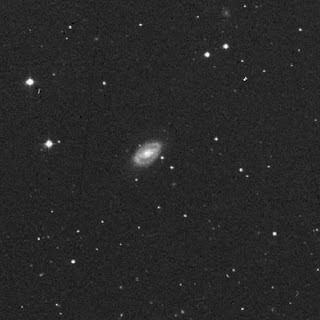 There are quite a few MAC (Mitchell Anonymous Catalog) and other non-NGC galaxies in the vicinity, so I thought it would be entertaining to try and find some of them. I should really have put some more magnification on these but, by now, it was late and I was feeling lazy! The MACs I went after were MAC 0107+3220 and MAC 0106+3225 and they were faint, faint, faint – I am not entirely certain I saw them, after 10 minutes of averted vision, deep breathing and use of a hood for each one. There was the suspicion of *something* fuzzy at each position. Conditions: 84% illuminated Moon, chilly, breezy. A few high clouds and a halo around the Moon. The Moon is nearly full but I decided to have a quick observing session anyway. However, I left the 18 inch tucked up in the shed and used the little 8 inch Celestron Newtonian instead, as I decided it wasn’t worth getting the big one out in such poor conditions plus it was quite windy, which would have meant the big scope would be awkward to use. The session began late as I was waiting for thick cloud cover to clear, which it eventually did. 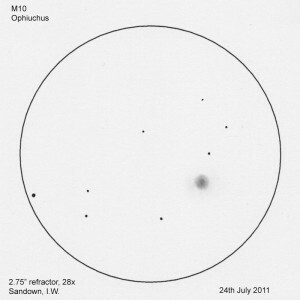 I decided to observe some open clusters, because of the Moonlight and decidedly poor transparency. There was no point in going after galaxies or faint planetary nebulae in those conditions. NGC 7510, open cluster in Cepheus – This one took an age to locate, mostly because I was using a small Newtonian on an equatorial mount and performing contortions to look through the Telrad finder! It is small, compact and bright with a wedge shape. It is rich and very concentrated. At 36x, I could see individual stars. Conditions: Cloudless, dewy (88% humidity), some mist. Hazy. Warm, about 16°C (61°F). Lots of owl activity (Barn Owls and Little Owls mostly) plus the intermittent ‘pop’ of acorns falling from the oak trees. The early autumn heatwave continues, with hot days and clear nights. However, there has been a downside, high humidity leading to formation of mist and fog at night with masses of dew, and Thursday night (29th September) ended up as an ‘eye candy-only’ session and an early finish. I did, however, compare my 18 inch and 12 inch (now sold) scopes side by side, with eyepieces of comparable local length (20 and 22mm) and quality on M13 and the difference was even bigger than I expected, with the 18 inch absolutely blowing the 12 inch out of the water in detail seen. I could see the propeller feature quite easily in the 18 inch but not very easily in the 12 inch. If you look at Obsession’s M13 comparison chart (scroll down the page), it shows the difference between a 12 inch (12.5 inch in the example) and an 18 inch but in real life, the difference was even more apparent. Back to last night (I’d not bothered observing on the 30th, simply because the mist was so bad that deep sky observing would have been a dead loss) and I’d lined up some galaxies in Pegasus, Pisces and Triangulum to observe. Last night’s conditions weren’t great but an improvement on the previous night. I’ve made an addition to the telescope in the form of black plastic dustbin bags taped over the shroud, this is in an effort to keep the shroud from getting soaked with dew. A wet shroud isn’t nice but the water dripping on to the primary mirror is even less nice – but the garbage bags did their job. Garbage sacks aren’t exactly pretty but who cares in the dark – and it’s better than water marks on the mirror! I used what has become my favourite eyepiece combination with the 18 inch, my 22mm Televue Panoptic and 8mm Televue Radian. NGC 7479, galaxy in Pegasus – Large, fairly bright galaxy elongated north-south. It has a diffuse halo with some brightening towards the centre. There is a star on the northern end, plus a fainter one on the western side. Looks mottled. This galaxy has spiral arms which should be visible in the 18 inch but, because of the high humidity and hazy conditions, I didn’t see them. One for a better night. 90x, 247x. NGC 7537, galaxy in Pisces – This lies immediately to the south of 7541 and is smaller and fainter. It is elongated SW-NE. Not seen at low power but easily seen at 247x. By this time my secondary had dewed up badly and my Telrad, despite the dew shield, had become almost unusable so I packed up, my planned assault on Triangulum will have to wait until another time. It had got to the point where I couldn’t see any galaxies and the brighter stars all sported fetching halos. I am going to be investing in a dew prevention system. I have already bought a power supply, I now need a controller and a couple of heaters for the secondary and the Telrad. Conditions: Cloudless but with some mist. 90% humidity resulting in a lot of dew. Light domes more apparent than usual. Picking off galaxies with the 18 inch is like shooting fish in a barrel, it’s that easy, even under far-from-pristine conditions. I’ve gained a magnitude over the 12 inch and it’s so much easier to see fainter galaxies, of course. I began with some galaxies in Pegasus. These galaxies were very faint indeed at 90x. Probably not helped by the dewy conditions. Jupiter was excellent, very detailed and took magnification well in moments of good seeing. The four Galilean Moons were strung out either side, with two on each side. The SEB returned a while back and is nicely on show again. M31, also in the eye candy department, was spectacular. I’d never seen it in anything larger than my 12 inch, and it was very bright and the dust lane was as prominent as ever I have seen it. 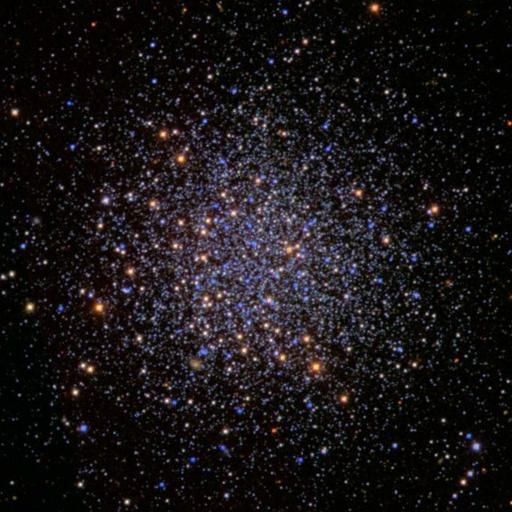 I’m going to hunt for globular clusters in it one night, when the seeing is better. M32 and M110 were also very bright and prominent: M32 is the brighter and smaller of the two. By now, the optics were so badly dewed up, it was becoming difficult to see anything so I packed up. I am going to invest in a dew heater once I have flogged off the 12 inch; actually I am going to invest in a dew heater even if I don’t manage to flog off the 12 inch! If the optics get dewed badly too often then a recoat will be necessary in a couple of years, something I’d prefer to avoid if possible. The Telrad, despite shield, was also badly dewed and made it nearly impossible to find anything. I’d been using the stepladder a fair bit and, because the top lawn is undermined by generations of moles, one side of the ladder would occasionally sink into one of the tunnels. I never once fell off but it made life difficult and annoying. Not only that, the lawn has a very uneven surface but it is going to be hard to level it out and fill in all the mole holes. Equipment: 18 inch f/4.3 dob with 35mm Televue Panoptic (56x), 22mm Televue Panoptic (90x) and 8mm Televue Radian (247x). I began with a general look round and decided on a couple of bits of eye candy to look at first. I aimed at the Ring Nebula, M57, and I am sure I detected some colour in it, green with hints of pink. Subtle but I don’t think I was imagining it. The last time I saw colour in M57 was in Texas in 2008 and that was with Jimi’s 48 inch. I decided to try some high magnifications, 395x (5mm Radian) and 658x (3mm Radian) but, thanks to the poor seeing, it was as mushy as hell (especially at 658x) so I put those eyepieces away. Also, the big mirror needs more cooling down time than I’ve given it. It is still fairly warm during the day and, although the mirror is not especially thick at 40mm (1.5 inches), it still needs over an hour, probably more, to cool. Then I headed over to M27, the Dumbell Nebula, which was very bright and also with a hint of colour, this time green. Although the conditions weren’t good, M27 was incredibly bright and detailed. Knock-your-socks-off bright and detailed, too. 18 inches is the largest aperture I have looked at M27 with, so it’ll be nice to have a look on a much better night. I was thinking of selling my 35mm Panoptic and, indeed, I’ve advertised it in our astronomy society’s monthly newsletter, mainly because the exit pupil would be too large for use with the 18 inch, thanks to the focal ratio of the scope, and £250 would come in handy at the moment. However, I decided to give it a try in the big scope and, judging by what I saw, I won’t be parting with it after all and I will withdraw it from sale. NGC 7000 and the Milky Way through Cygnus was spectacular. The exit pupil is a tad too big but not by much, so but it actually doesn’t matter. I will definitely need a Paracorr with this one, though. Using a stepladder takes a bit of getting used to. At one point, I’d forgotten that I was standing on the second step and stepped off, landing on my bad ankle harder than I’d expected. So much for the messing around with eye candy. I’d brought some galaxy group information out with me (one of the free downloadable guides from my friend Alvin Huey’s website – follow the links to Downloadable Observing Guides) and went for some galaxy groups in Pegasus. The NGC 7436 group was well placed so I went for that. The notes are sparse. By this time, the transparency had got so bad I decided to pack up, go in and watch Match of the Day. Car lights coming down the hill were huge beams and the kitchen light coming on was a dim glow through fog. A look at NGC 7331 confirmed the transparency had deteriorated, although it wasn’t great to begin with and an hour later the clouds were back. Conditions: Clear at first, clouds moving in later. Very dewy (88% humidity) and wet underfoot. Transparency: II-III; IV later when clouds arrived. When it got dark, the Milky Way was as good as I have ever seen it, with the Cygnus rift very striking and the rest iridescent. It was very prominent right down into Sagittarius. I forgot the SQM, but the naked eye limiting magnitude was at least 6.2. The neighbours’ lights were annoying as usual, and I wish they’d adjust their insecurity light as it blitzes everything. Luckily that only seems to be put on when their dogs are out having their late night piddle. I wish they’d move away and a nice elderly couple who go to bed at 8.30 and who don’t have all the house lights on would move in instead! First up, as it wasn’t dark and I was just itching to look at something, was the Alcor-Mizar system.Very nice at 90x, with the jewels blazing brightly. As this is an f/4.3 mirror it was evident that I need a coma corrector, such as a Paracorr but I can live with it for now. I didn’t take any notes, beyond writing names down, either; this wasn’t a ‘serious session’, it was more a case of getting used to the scope and to the ladder I needed to use with it, rather than a proper serious observing session. NGC 7331, galaxy in Pegasus – This was the best ever view, the galaxy appeared very large and bright, with a bright tiny core. Elongated north-south. 90x, 247x. The scope is a bit stiff to move, although not hugely so and I expect the stiffness will wear off in time. Besides, it’s better for it to be slightly too stiff than too easily moved. I packed up at 2130 just before the moon rose as the clouds had returned (contrary to the weather forecast!). I took the scope to bits and returned it to the shed, after carefully drying it off. The shroud was wet through and that’s now hanging over the landing rail to dry. It was a lovely clear night last night, typical when you can’t make full use of it. Serious deep sky observing was right out of the question because I can’t set up or use my 8″ or 12″ scopes (ankle injury), so I decided to compromise, hobble outside and sit on a garden chair to view Comet Garradd, currently in Sagitta, instead with my 8×42 binoculars. As it turned out, the comet wasn’t visible with the binocs, so I got my aunt to bring out my little Vixen refractor, camera tripod and eyepieces. The comet was easily visible with the little refractor at 17x. It was a very pale greenish-white, not quite round and brighter towards the middle. It was around magnitude 7-8. I compared it to the globular cluster M71 and there was not a lot of difference in brightness. I didn’t do a sketch because, with my foot in plaster and being on crutches, things are just too much hassle at the moment, and a sketch was just one more thing to do. A detailed finder chart for C/2009 P1 (Garradd) can be found at the Skyhound website. In the meantime, here’s a Megastar chart with Comet Garradd’s position as of 28 August 2011 indicated by the red arrow. I removed all the DSOs (not that Sagitta is particularly blessed with lots of DSOs) except M71, which I left in for comparison. Equipment: 8″ f/4 equatorial Newtonian; Televue 22mm Panoptic (36x), Televue 15mm Plossl (53x), Televue 8mm Radian (100x) and Televue 5mm (160x). NGC 6760, globular cluster in Aquila – Round, quite large and moderately faint. Found easily at 36x. At 100x it is unresolved. Still unresolved at 160x. Brightens to a compact core. 36x, 100x, 160x. NGC 6749, globular cluster in Aquila – Very small and quite faint. Not resolved. Lies in a rich area. 36x, 100x, 160x. At this point I took an reading with the borrowed Sky Quality Meter (I must get myself one of these but, like the wide-angle lens, it’s fairly down my list of priorities) and it was 21.02, which equates to 6.1 on the visual scale. Not bad for a pretty average night and confirms my average naked-eye estimates. Looked for the planetary nebula NGC 6852, also in Aquila, but failed to find it. I don’t have much success with Aquila planetaries! Will try this again next time. I packed up at 2345 as the Moon was rising and my feet hurt after being on them all day! I only managed three objects – my sessions seem to be like that at the moment thanks to a combination of conditions and having to be at work the following morning. Conditions: Clear at first, rising 75% illuminated gibbous Moon, dew. Equipment: 8″ f/4 equatorial Newtonian. Televue 22mm Panoptic (36x), Televue 15mm Plossl (53x), Televue 8mm Radian (100x), Televue 5mm Radian (166x) and Televue 3mm Radian (267x). Palomar 9 (NGC 6717), globular cluster in Sagittarius – You see the word ‘Palomar’ and you think ‘not easy’ but this one is not that hard, even in an 8″. However, it would be easily overlooked if you weren’t actually looking for it. Palomar 9 is right next to Nu 2 Sgr, a 5th magnitude star, and is slightly overwhelmed by it. Pal 9 is very small round patch with a brighter, tiny, core. Totally unresolved. 100x, 160x, 267x. I packed up at 2330 because clouds were forming, as forecast, and the Moon was getting higher. I only observed two objects in 50 minutes, as most of my targets were getting too low and had vanished behind the garden hedge. Transparency: III, deteriorating to IV later. NGC 6426, Ophiuchus – This globular is very faint, not helped by the poor transparency. It is faint at 36x. Putting in the 8mm (100x) is not much of an improvement, so it is not surprising I did not see this with the small scopes or binoculars last week. Very faint and unresolved. NGC 6333 (M9), Ophiuchus – Round, bright and dense with a very bright and dense core. Granular-looking at 100x but unresolved. One for a better night. NGC 6342, Ophiuchus – Fairly bright, despite its low altitude (the transparency had improved by this time). Smaller and fainter than M9 and fits into the same field of view at 36x. At 100x, a round halo with a brighter, dense core. Slightly granular but unresolved. NGC 6356, Ophiuchus – This is close to M9 and NGC 6342 but I didn’t see it, probably because it was too low and had gone behind the shed. NGC 6656 (M22), Sagittarius – Large and very bright. Not round, more irregular. Mostly resolved at 100x but with a nebulous background hinting at many more unresolved stars. The overall appearance is almost that of a crab or a spider. There are dark patches within the cluster. Very nice indeed. NGC 6638, Sagittarius – Small, moderately bright. A round halo surrounds a dense, compact core. The edges are diffuse. Unresolved. By this time the transparency had got a lot worse, so I called it a night at 0035 BST. As I was packing up, I got to listen to a couple of women prowling up and down the footpath next to the garden. I am not sure what they were doing but I think they were looking for something, especially when I heard ‘Darling! Come to mummy!’ from one of them. Probably a cat or dog, or something. To be honest, no matter who they are or how nice they are, I don’t like people hanging around or being loud outside at night, it makes me nervous – probably a hangover from when I lived in towns and cities where it was noisy and anti-social behaviour was common – and it’s a feeling I can never shake off. Anyway, the scope performed beautifully and is a real little gem, perfect for those nights when getting the big scope out is too much hassle or the conditions aren’t good enough and I want something more than binoculars and the tiny scopes. The coma isn’t too bad, considering it’s an f/4 mirror, and as a coma corrector won’t fit (it only accepts accessories with 1.25″ barrel size) that’s a bonus. It’s also good for putting into the car and taking somewhere with a better southern horizon. I’ll be using it more from now on. NELM: 6.0 decreasing to 5.8 later on. Equipment: 2.75″ (70mm) f/6 Vixen refractor; 4″ (102mm) Meade SCT, 8×42 binoculars; 40mm Televue Plossl, 25mm Televue Plossl, 15mm Televue Plossl. NGC 6218 (= M12), globular cluster in Ophiuchus -Large and bright. Not resolved in little scope but granular with averted vision. The g.c. has a brighter centre and an irregular shape. 2.75″ refractor with 15mm Plossl (28x). NGC 6254 (=M10), globular cluster in Ophiuchus – Smaller and slightly brighter than M12. Denser than M12 with a brighter denser core. Round. Unresolved. 2.75″ refractor with 15mm Plossl (28x). NGC 6426, globular cluster in Ophiuchus – Not seen. NGC 6366, globular cluster in Ophiuchus – Not seen. NGC 6705 (=M11), open cluster in Scutum – Visible to the unaided eye and as a bright detached nebulous patch in the Scutum Star Cloud through the 8×42 binoculars. In the 4″ SCT it is a bright, rich, fan shaped cluster. With direct vision it just looks nebulous but with averted vision there are many stars, although there is still a nebulous background. There is a bright star on the eastern point of the ‘fan’. 4″ SCT, 25mm TV Plossl (40x). NGC 6402 (=M14), globular cluster in Ophiuchus – Round, not resolved. Slightly brighter towards the centre. 8×42 bin. The scopes were dewing up badly as neither have dew caps so, as it was 1am, I packed up. While I’d rather be doing some more ‘serious’ observing (for want of a better expression), just going outside and using tiny scopes and binoculars to see what can be picked up is fun and can be suprisingly productive. SN2011dh in M51 has got a little brighter recently. It was definitely easier to see than last time but that’s probably as much to do with no Moon in the sky as it is to do with the brightness of the supernova – M51’s spiral arms were certainly easier to see this time out. I didn’t make a sketch this time. I’ll come back to these on a darker night, and the same goes for NGC 6857 which I looked for, a little over-optimistically, but didn’t see. It was at this point, around midnight, that the observing was interrupted by the kids in a house the other side of the footpath putting an insecurity light on, which encroaches on our garden – although it’s worse in winter because of the lack of leaves on the hedge and trees. They’d gone out into the garden do do some camping (I assume they were camping as I heard what sounded like a tent being put up and a tent zipper being opened and closed) and obviously wanted to see what they were doing. I wish they’d used torches though. I decided to pack up, an hour earlier than I’d intended, as the light was a nuisance – and I didn’t want to disturb them with ‘funny noises’ from across the way (it’s strange how loud switching eyepieces and moving around can be in the dark) and, more importantly, I didn’t want them disturbing me! At least, when I get the new scope, it will be easier to move to another location in the garden, as it will break down and have wheelbarrow handles on it. I’m intending to move my observing spot further down the garden, although the ‘observashed’ will remain where it is, although I can move around depending on where I am looking at the time. I shoved the 12″ back into the shed and closed the doors on it. This morning, when I went up there to put it away properly, I found I’d left the Telrad switched on. Fortunately, a Telrad reticle uses up hardly any power so the batteries were far from flat. It’s not the first time I’ve left a Telrad on and I guess it won’t be the last! Conditions: First quarter Moon, all-night astronomical twilight. Milky Way visible. No dew, breezy. Supernova SN2011dh. I observed the supernova under less-than-ideal conditions, thanks to first quarter Moon and the all-night astronomical twilight we’re cursed with at this time of year – and I have certainly seen M51 better than this. However, the Milky Way was visible and the transparency and seeing were both good. 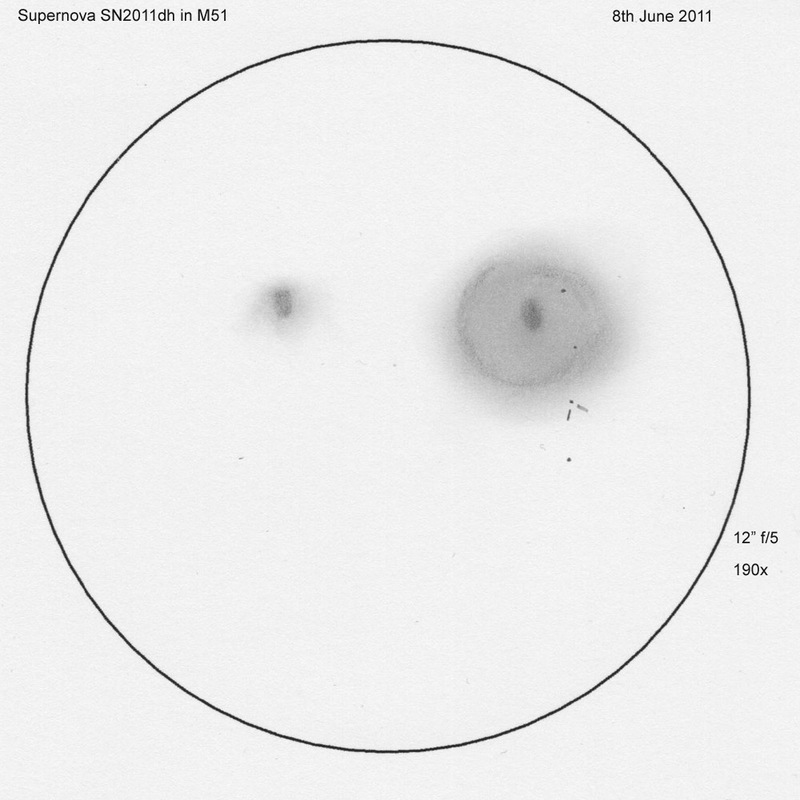 The supernova was best seen at medium to high magnifications. It wasn’t immediately obvious but after a minute or two with averted vision, popped into view as an extra star. I made the sketch without a photo to guide me and checked it against a photo of the supernova’s position later. The best views were at 190x and 304x. The view at 507x was terrible, it was just smeared all over the place. The supernova is arrowed on the sketch. Conditions: Cloudless, no dew, chilly, breezy. Equipment: 70mm (2.8″) f/6 Vixen refractor with Televue 25mm (16.8x) and 11mm (38x) Plossl eyepieces. Lumicon 2″ UHC filter. The summer Milky Way was rising, and Cygnus was beginning to clear the nearby trees, so I aimed the little scope at the various star fields. The beauty of a small rich-field scope is that you don’t need a finder to aim it. Because of the wide field views, it’s easy to find what you’re looking for just by sighting along the tube, something which is all but impossible with a larger, longer focal length instrument. As well as looking round the rich Milky Way of Cygnus, I looked for individual objects, bright Messiers generally. 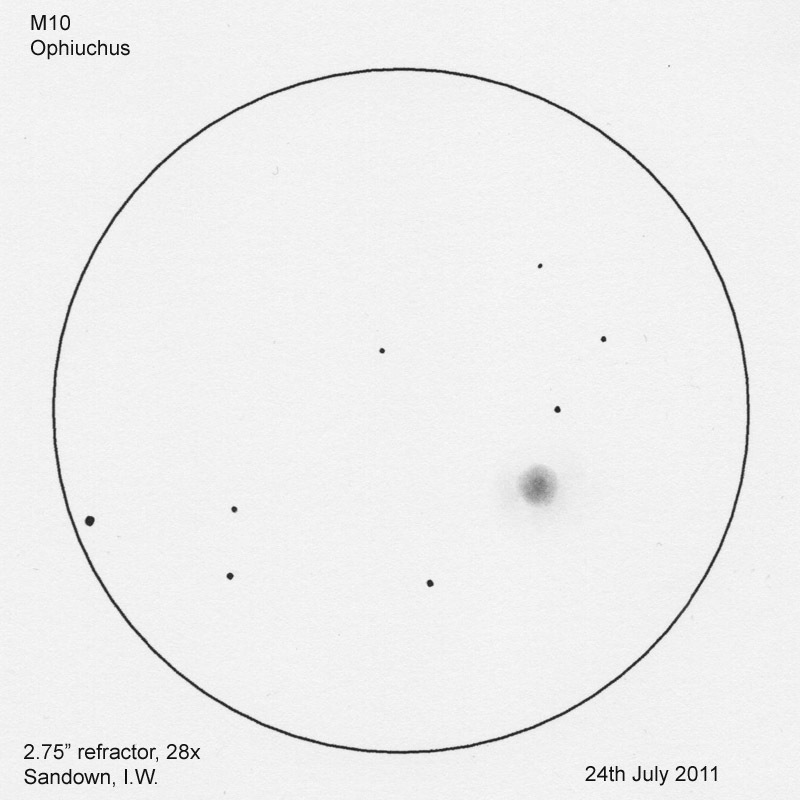 M29, a coarse and poor open cluster in Cygnus, was easily seen at 16.8x. Despite its sparseness it was an attractive sight at 38x, standing out nicely from the Milky Way. It’s seven brightest stars were all easily seen in the tiny scope. In Lyra, M57 was easily seen at 16.8x as a non-stellar object in a rich area. Putting up the magnification to 38x showed an oval with a darker middle. 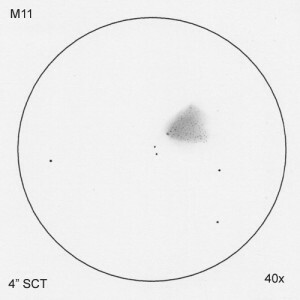 Turning to Hercules, M13 was easily seen in the scope, and was resolved, despite being at a neck-twisting angle. No surprise there, as it’s a naked eye object on a good night. It wasn’t quite naked eye the other night, though, as the sky wasn’t quite dark enough for that. I didn’t bother with M92, because of the awkwardness of the eyepiece angle – one of the areas where a reflector beats a refractor hands down. M81 and M82 in Ursa Major provided a lovely view at 38x. M81 was oval, with a slight hint of spiral arms while M82 was a bit brighter and showed mottling. Scorpius was rising so I decided to see what M4 looked like with the 70mm. Despite its low altitude, the view was surprisingly good and the cluster began to resolve at 38x. If it was higher, it wouldn’t be bad at all with the tiny scope. Meanwhile, Vulpecula had cleared the trees, so I looked for and easily found M27, the Dumbell Nebula, at 16.8x, as a round patch in a rich area. I was expecting to just see M27’s ‘apple core’ shape but, somewhat surprisingly, at 38x, the fainter lobes showed up well. Back to Cygnus and NGC 7000 and IC 5070/5067, the North America and Pelican Nebulae. NGC 7000 is a pretty easy naked eye object as a shining patch adjacent to Deneb, as by now, it was 0040 and dark enough to see fainter objects. The shape was easy to make out with the help of my Lumicon 2″ UHC filter held to my eye, with the dark ‘Gulf of Mexico’ prominent. IC 5070/5067 was fainter and needed averted vision to see properly. It’s a nice sight through my 8×42 binoculars though. It was getting cold and it was nearly 1am, so I packed up – which was the work of less than a few seconds, another plus factor of a small scope. Unfortunately small scopes don’t cut it when you want to view faint deep sky objects and, with a rich field scope such as the 70mm, you can’t get enough magnification for detailed views of DSOs or the planets. However, for a ‘grab and go’ scope and a travel scope, it’s ideal. One scope can’t do it all; my 12″ is way too large and cumbersome to be much use as a ‘grab and go scope’ (being a one-piece tube it barely fits in my car) and doesn’t give wide field views. As noted Arizona observer Steve Coe once said, ‘There’s no such thing as an all-purpose telescope’. Conditions: Mild, mostly clear although some drifting cloud about, waxing crescent Moon (30% illuminated), heavy dew, soaking wet underfoot because of heavy rain earlier in the evening. Equipment: 12″ f/5 dob, 22mm Televue Panoptic (69x), 15mm Televue Plossl (101x), 8mm Televue Radian (190x). After getting back from a trip to Holland and Denmark by sea last Wednesday, the weather had turned nasty with thunderstorms and torrential rain (which, admittedly, was much needed, especially as the UK had forest fires everywhere) but yesterday was largely clear, apart from heavy downpours now and again. I was hoping that the thunder and rain had cleared the atmosphere a bit and the sky was indeed more transparent than it had been for a while. Unfortunately, as night fell, there were more drifting clouds around than there had been during the evening and the waxing crescent moon, at around 30% of full, interfered with the observing session, so it was a shorter one than I’d intended. NGC 4494, galaxy in Coma Berenices – Just SW of an 8th mag star this is bright and oval, elongated NW-SE. Brightens slightly to a non-stellar core. 69x, 190x. NGC 4725, galaxy in Coma Berenices – Bright and oval, elongated SW-NE. Brightens to a very bright but non-stellar core. There’s a hint of spiral arms at 190x but the scattered light from the crescent Moon makes this hard to see properly. I want to have another look at this on a better night – it may have to wait until next spring, as we’re into May and the spring constellations will soon be lost in twilight. 69x, 190x. NGC 4314, galaxy in Coma Berenices – This is a fairly bright oval with a brighter core. The Moon interfered with this one quite a bit. 69x, 101x, 190x. NGC 4414, galaxy in Coma Berenices – A bright oval, elongated NNW-SSE. It brightens towards the core and has a stellar nucleus. The view at 190x is not good! 101x is much better. 69x, 101x, 190x. I packed up at 2330 because the dew was a real nuisance and the Moon, despite being a crescent, was really interfering with observations. It was due to set at 0118 but my patience had run out so I called it a night. Conditions: Cloudless, chilly, no moon, no dew, slight breeze picked up later on, zodiacal light prominent. 27th April was largely cloudy and grey but the clouds cleared during the afternoon to leave a blue and transparent sky. It remained clear throughout the evening so I set up the scope for some observing. Given the largely hazy conditions just recently, I didn’t hold out much hope for the transparency but, surprisingly, it was very good. NGC 3631, galaxy in Ursa Major – Round and reasonably bright. Diffuse halo brightens to a compact core and stellar nucleus. 69x, 137x. NGC 4026, galaxy in Ursa Major – Located just SW of a mag 9 star. Edge-on and very bright. Elongated NW-SE, with a bright elongated core. 69x, 137x. NGC 3998, galaxy in Ursa Major – Located adjacent to 2 stars (mag 9 and 10) 3998 is very bright and round. It has a very bright stellar nucleus surrounded by a diffuse halo. 69x, 137x, 190x. NGC 3990, galaxy in Ursa Major – Located just west of 3998, this is much fainter and more oval with a brighter core. Elongated NE-SW. 69x, 137x, 190x. NGC 3982, galaxy in Ursa Major – Moderately bright oval glow, oriented north-south. Brightens to centre and a non-stellar core. 69x, 190x. NGC 3898, galaxy in Ursa Major – Bright oval, elongated NW-SE. Fairly faint halo surrounds a much brighter, elongated core. 69x, 190x. NGC 3888, galaxy in Ursa Major – Lies to the SW of 3898. Much fainter than 3898. Fairly dim oval with a brighter core. There is a distinct row of 3 stars which lie to the NE. 69x, 190x. A bright meteor went through south western Ursa Major and into Gemini at this point. It was a bright yellow fireball. NGC 2950, galaxy in Ursa Major – Small, round and very bright. It has a stellar nucleus in the core. 69x, 137x, 190x. NGC 2768, galaxy in Ursa Major – A bright, flattened oval. Oriented east-west with a bright elongated core. 69x, 137x, 190x. NGC 5676, galaxy in Bootes – Fairly bright oval with a bright core. Elongated SE-NW. 69xx, 137x. NGC 5689, galaxy in Bootes – Bright, almost edge-on. Elongated E-W. Brightens to core and has a stellar nucleus. 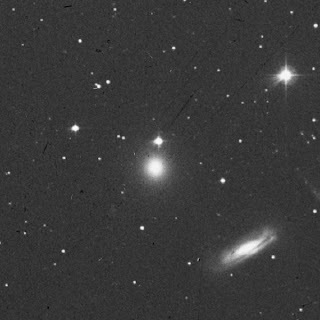 NGC 5682 and 5683 lie just to the SW and NGC 5693 to the SE. 5682/83/93 are all faint and very small. 69x, 190x. NGC 5248, galaxy in Bootes – Large, oval and bright, oriented east-west. A diffuse halo brightens to the core and a stellar nucleus. At 190x averted vision shows hint of spiral arms. 69x, 190x. I made a sketch, which is shown at left. Click to enlarge. Excuse the poor quality sketch, by that time my fingers were frozen! Packed up at 0100 BST. The signs of summer were already there, with Hercules up, Scorpius peeping above the horizon in the south east and Cygnus above the horizon on its side. Conditions: Clear at first, slight breeze picked up later, slight haze, mild (11C, only needed a hoodie and observing vest on). No Moon. Conditions deteriorated badly less than an hour later, cutting the session short. NELM: started out as 6.0 but got worse thanks to increasing murk and light scatter. Equipment: 12″ f/5 dob, 22mm Televue Panoptic (69x), 15mm Televue Plossl (101x), 11mm Televue Plossl (137x). NGC 3726, galaxy in Ursa Major – Large, oval (not quite round) diffuse halo with a stellar core. Oriented north-south, with an 11th mag star on the northern end. 69x, 101x. NGC 3675, galaxy in Ursa Major – Bright, almost edge-on. Elongated north-south. Brightens to an extended core. A scattering of mag 11/12 stars lies just to the west and a 12th mag star lies on the southern tip. 69x, 101x, 137x. NGC 5466, globular cluster in Bootes – Faint and large. Dense. With averted vision some stars are resolved with others giving the whole thing a ‘granular’ appearance on a background glow. 69x. NGC 5557, galaxy in Bootes – Fairly bright and round with a bright core. 69x, 137x. By now, the conditions had deteriorated so much that, after just three quarters of an hour and a meagre four objects, I had to pack it in and call it a night. The sky just got murkier and, in the end, it was impossible to continue with any sensible deep sky observing. It was disappointing as I was hoping for two or three hours, but 45 minutes is better than nothing. The recent high pressure has led to increasingly murky nights and tonight was no exception. It looked ok as dark fell and there were no light domes visible so I set up. Unfortunately, this state of affairs didn’t last, as it got murkier and high clouds moved in, so it ended up being a much shorter session than intended. I had intended to spend the session in Ursa Major but the combination of the ‘dob hole’ and high clouds prevented it. We’ll soon lose our dark skies for the summer as, from late May onwards, astronomical twilight lasts all night with no true darkness until later July/early August. I intend to carry on observing throughout, weather permitting, but I will go back to sketching the brighter stuff, something I have neglected recently as I have preferred to concentrate on seeing as much as possible. Conditions: Cloudless but some high pressure haze, waxing crescent Moon 22% illuminated. Some dew but not as bad as the other night. NELM: I didn’t look at the naked eye limiting magnitude, as I knew it’d be a bit crap thanks to the Moon. The Moon was a crescent but was substantially affecting sky conditions so I would say it was worse than 5.8 at least. It improved later, as the Moon set. Equipment: 12″ f/5 dob, 22mm Televue Panoptic (69x), 11mm Televue Plossl (137x), 8mm Televue Radian (190x). MegaStar 5 chart of the main Virgo area, showing Herschel 400 objects. NGC 4754, galaxy in Virgo – In a very pretty field with NGC 4762. 4754 is oval, elongated SW-NE. Moderately bright. The core is brighter than the halo, but not stellar. Very nice indeed. 69x, 190x. NGC 4762, galaxy in Virgo – This one is very nice indeed. It is edge-on (edge-on galaxies are my favourites) oriented SW-NE. It has an obvious nuclear bulge and there are three bright stars immediately to the west. 69x, 190x. NGC 4698, galaxy in Virgo – Located between a pair of mag 10 stars. Round, diffuse-looking halo brightens to a non-stellar nucleus. 69x, 190x. NGC 4866, galaxy in Virgo – Edge on, oriented east-west. Moderately bright, despite competition from moon. There’s a star superimposed on the NW side. 69x, 190x. NGC 4550, galaxy in Virgo – In the same field as NGC 4551 where they make a nice pair. Elongated east-west. Bright, condenses to bright non-stellar core. 69x, 190x. NGC 4551, galaxy in Virgo – Just east of 4550 this is smaller, rounder and not as bright. Brighter middle. 69x, 190x. NGC 4900, galaxy in Virgo – Fairly faint diffuse oval glow elongated E-W. Condenses towards centre. Star on southern end. 69x, 190x. NGC 4666, galaxy in Virgo – Almost edge on, oriented SW-NE. Brightens somewhat towards an elongated core. NGC 4668 in the same field. 69x, 137x, 190x. NGC 4668, galaxy in Virgo – This is located SE of 4666. It’s a lot smaller and fainter and quite hard to see because of scattered moonlight but appeared as a soft faint glow elongated E-W. Quite small. 69x, 137x, 190x. NGC 4643, galaxy in Virgo – Small, bright and round with a stellar core. Adjacent to 11th mag star to NE. 69x, 137x. NGC 4636, galaxy in Virgo – Round halo with bright stellar core. In a nice area. 69x, 137x. NGC 4179, galaxy in Virgo – Lovely spindle-shaped galaxy oriented N-S. bright non-stellar core. 69x, 190x. NGC 4030, galaxy in Virgo – Bright oval located between and just to the east of two 10th mag stars. Brightens to non-stellar core. Elongated SW-NE. 69x, 190x. NGC 4303 = M61, galaxy in Virgo – Large and very bright. Oval, elongated N-S with a bright elongated core running N-S. 69x, 190x. NGC 4273, galaxy in Virgo – A fairly faint oval, elongated N-S. Brightens gradually to core. 69x, 190x. NGC 4281, galaxy in Virgo – Just east of 4273 this is at 90 degrees to it. Oval, elongated E-W. Slightly brighter than 4273. Brightens to core which is not stellar. 69x, 190x. NGC 4277, galaxy in Virgo – Next to 4273, this is tiny and faint, elongated N-S. 190x. NGC 4270, galaxy in Virgo – In the same group as 4281, etc. Oval, elongated SW-NE, with some brightening towards the centre. 190x. NGC 4261, galaxy in Virgo – Bright, round and with a bright core and almost stellar nucleus. 190x. NGC 4264, galaxy in Virgo – Located NE of 4261 this is much smaller and fainter. The core is brighter than the halo. 190x. 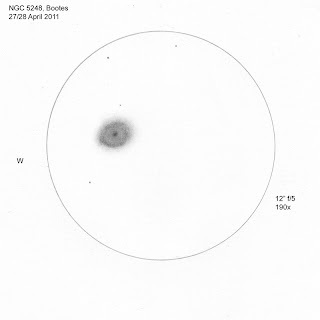 NGC 4546, galaxy in Virgo – Bright oval, elongated E-W. Bright non-stellar core. 69x, 190x. NGC 4697, galaxy in Virgo – Bright, oval elongated E-W. Diffuse halo condenses to core and a bright stellar nucleus. 69x, 190x. NGC 4958, galaxy in Virgo – Bright edge on galaxy oriented NE-SW. Very bright stellar core. 69x, 190x. NGC 4995, galaxy in Virgo – Round glow with brighter centre. 69x, 190x. Packed up at 0130. I didn’t want to but after standing for nearly four hours, my back and feet were beginning to let me know it was time to quit! Because the Moon is now substantially interfering, this will be my last session until after Full Moon. I was a little surprised at the fact I saw all my targets, all galaxies although none were fainter than 13th magnitude. Conditions: Clear but with some haze, mist forming later, 9% illuminated waxing crescent moon. Chilly, around 9C. Very dewy. Hickson 56, galaxy group in Ursa Major – Just south of NGC 3718 this is a small faint group. With averted vision and plenty of looking, components 56B (UGC 6527), 56C (PGC 35618; the brightest member at mag 14.8v) and 56D (PGC 35615) all seen as an elongated area of brightening. 56A (MCG+9-19-113) and 56E (PGC 35609) were not seen. 190x, 304x. 44B (NGC 3193) is a round and bright even glow located next to a mag 9 star. 44C (NGC 3185) is oval and quite faint. 44D (NGC 3187) is the dimmest member of the group at mag13.4v. Elongated streak of light just east of 44A. UGC 5470 (Leo I), galaxy in Leo – Next to, and just above, Regulus this is easy to find but not so easy to see. It is very dim oval glow, barely seen against the sky. 101x, 190x. Leo I, showing position just above Regulus, concentric circles are Telrad field. Chart generated with MegaStar 5. NGC 3412, galaxy in Leo – Small, oval, bright. Bright core. 190x. 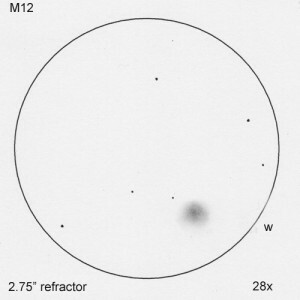 NGC 4402, galaxy in Virgo – Very faint, elongated east- west. 190x. Packed up at 0010 BST after a quick sail around Markarian’s Chain. I need to get in there properly to knock off a load of Herschels but with worsening dew I decided to call it a night. Conditions: Chilly (8C/46F), clear but murky; mist was coming down and making the skyglow worse. Very dewy indeed. NGC 3379, galaxy in Leo – M105, one of the Messier objects in the H400. Very bright. Round with gradual brightening towards the centre. Makes an attractive pair with NGC 3384. Nice. 69x, 190x. NGC 3379, 3384 and 3389 all fit into the same field of view at all powers (69x, 101x, 190x). NGC 3810, galaxy in Leo – Dim. Oval. Slightly brighter core. 69x, 190x. I packed up at 2145 because it was getting mistier, murkier and generally yucky, causing lots of light scatter that you don’t normally see here, and the galaxies were getting wiped out. This takes me up to 140 out of the 400 Herschel objects, which is 35% of the total. NGC 2304, open cluster in Gemini – Scattering of stars in semi-circle. There are 4 or 5 brighter stars with more scattered around. Fairly bright. 69x, 101x. NGC 2355, open cluster in Gemini – Faint at 69x. Irregular. 69x shows dozens of faint stars on a misty background. At 101x the misty background has a vague S-shape. 69x, 101x. NGC 2395, open cluster in Gemini – Irregular group of fairly bright stars plus fainter ones. Not rich. About 15 bright stars plus a couple of dozen or so fainter ones. Elongated N-S. 69x, 101x. NGC 2420, open cluster in Gemini – Moderately faint patch. Rich, concentrated, fairly large. At 69x it’s mostly unresolved mist but at 101x there are 14 or so brighter stars scattered across a background of unresolved stars. 69x, 101x. Packed up at 2100 because the sky was getting murkier. I have now finished the H400 in Gemini, these were what was left over from last year. Conditions: Chilly, cloudless, slight breeze with one or two stronger gusts that banged shed doors, no dew, no frost. Equipment: 12″ dob with 22mm Televue Panoptic (69x), 15mm Televue Plossl (101x), UHC, OIII filters. I decided to knock off the remaining Herschel 400s I had left to do in Orion, left over from last year. 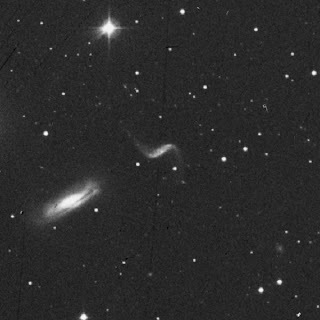 The one failure was NGC 1788, no matter how much I searched, I couldn’t find this little bugger. I think it had got too low. NGC 2169, open cluster in Orion – This is an interesting cluster which looks like the number 37, upside down. The ‘7’ is the westernmost part of the cluster. It has three bright stars and four fainter ones which make up the number 7. NGC 2186, open cluster in Orion – Awkward to find, especially as it’s not shown on my Sky Atlas 2000.0 so I had to come back to the house and print off a MegaStar chart with telrad circles on it. Not easy with one eye tightly shut to preserve its night vision! Located within a triangle of bright stars, which points east. Faint. Poor. Not concentrated. 69x. Hunted for NGC 1788. Got annoyed with it and gave up as I just could *not* locate the thing, so I moved on. NGC 1999, reflection nebula in Orion – This was easy to find, as it is located just south of the Orion’s Sword complex. Small, round and bright. Fuzzy with brighter middle. UHC does not improve the view much if any while OIII is totally useless. 69x, 101x, UHC, OIII. It was a short session, slightly under a couple of hours. I’d inevitably forgotten a few items, such as printing off MegaStar charts and other bits I had to return to the house for, but it was a good session and I’m pleased. It’s nice to be back, although I’d not been idle because I’d done a lot of birding (my other interest) over the winter. The Moon’s on the rise again so, after this coming weekend, it might be a while before my next session. And I managed to avoid trampling the daffodils too badly in my observing patch, there were casualties but only one or two.